A natural fjord, a bridge over it, a stone stair descending to the blue sea and fearless divers daring from the impervious cliffs. A breath-taking panorama over a narrow canyon where the sea water enters with its colors. 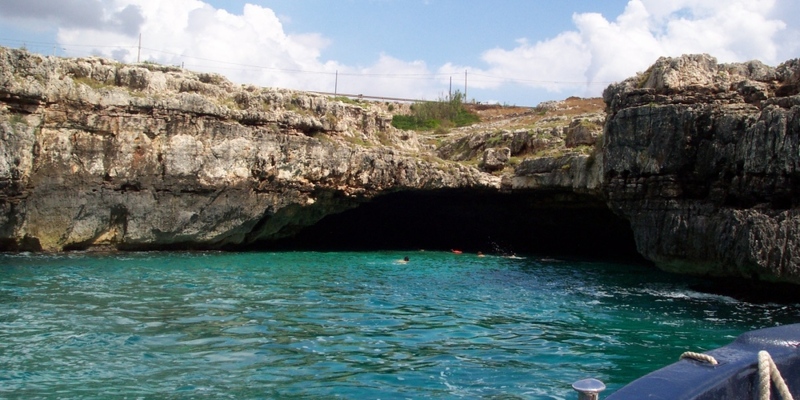 Don’t miss: a swim to the caverns where the cold and sweet spring water meet the sea water and, with some luck, a thrilling diving show! 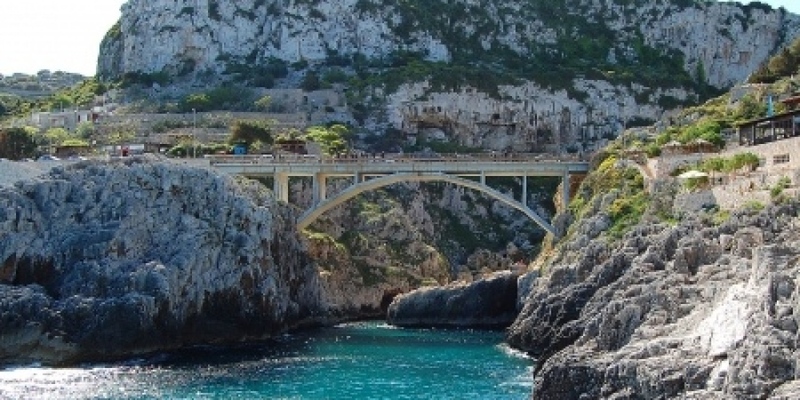 Ciolo is a must-see for anyone visiting the Capo di Leuca region, a natural fjord dominated by the brigde where the coastal adriatic road that goes from Santa maria di Leuca to Marina di Tricase runs on. It is a deep canyon created by the water erosion on its path to the sea, offering a breathtaking view and striking colors. The name comes from magpies, "Giole" or "Ciole" in the local dialect, that used to live in the gorge. The high and steep walls surround a narrow bay, accessible through a staircase descending from the bridge to the sea level. The rocky walls are covered by evergreen Mediterranean scrub and typical vegetation like the cornflower of Leuca and unique species of wild orchids. Several caves can be found across the slopes of the canyon. Some of them can be reached by boat or swimming, other are accessible from the land and are famous for fossils and ceramics findings from the Neolithic and Paleolithic, like in the case of the Grotta delle Prazziche. Sometimes at Ciolo you can see the most daring ones dive from the cliffs, or even from the bridge. It is an adrenalinic and reckless show performed by the local people, not to be emulated by the occasional tourist! Trekking lovers can also take the path of Cipolliane, a trail going from Ciolo to Marina di Novaglie. A full immersion in the nature of Salento, also interesting for its palaeontological dimension. Would you like to know more or how to get there? Contact us or ask at Reception!